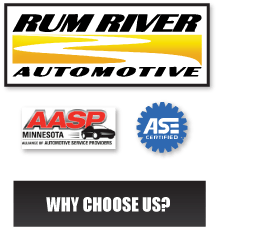 Auto Shop near Princeton, MN | Why Choose Rum River? Why Choose Rum River Automotive For Auto Services? "Our Auto Shop Specializes In Relationship Building"
How does Rum River Auto Service do this? The bond between a vehicle owner and their vehicle is strong. At Rum River Auto Center we take this seriously and we hope to be the glue in that relationship to keep your vehicle running smoothly and you happy. An award-winning ASE Certified Auto Repair Center that offers a wide variety of repairs and vehicle maintenance services. Our experienced ASE certified staff has the knowledge and skills to meet your needs. Technicians are continually trained on the latest technologies. Our Auto Service equipment and technical databases are constantly updated to provide us with accurate & up to date information. We do this to ensure your vehicle is done accurately, efficiently, and economically, keeping you and your family safe and on the road while saving you money. We believe quality isn't expensive, it's priceless. We maintain and subscribe to several databases containing millions of pages of electrical, diagnostic, and repair information, as well as factory, recalls and technical service bulletins. A detailed customer vehicle history report is available through our automotive management software system. We also mail and/or email our customers reminders when their vehicles are due for services or for previously noted areas of deficiency. We are a sponsoring member of several international auto service databases exclusively for industry professionals. The purpose of these is to catalog and exchange real-world information. This extensive depth of information is another key factor in getting you back on the road quicker & helping you stay there, safely & cost-effectively. All vehicles receive a free comprehensive safety inspection for your peace of mind. In addition, our technicians utilize the state-of-the-art diagnostic equipment. You receive an in-depth analysis of your vehicle, so you can understand your car's needs and keep it running for years. Not only does Rum River Auto Shop offer exceptional service, but we also offer a clean and comfortable facility. 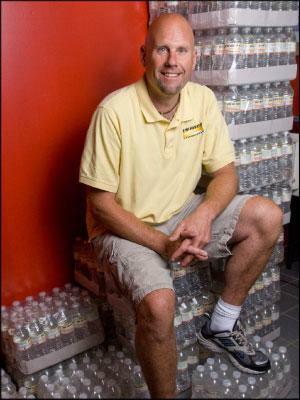 Troy Minske, owner of Rum River Automotive located in Princeton, MN, has been featured in “Ratchet & Wrench", a leading auto industry publication, for his outstanding community leadership that goes beyond the auto repair business. Read more. When You Choose Rum River Auto Shop? We choose the community! Troy is a Former Rotary, Jaycees, and Fire Department member. Also a past member of our church's council and a ministry board, chamber of commerce member and Troy is now on the chamber's board of directors. We strive to stay connected to our community in the surrounding areas; Princeton, MN, Milaca, MN, and Zimmerman, MN. Call Our Auto Service Experts Today!